Listen up Philly, we want to know your city’s top startups! On October 9th, 2014, Tech Cocktail will showcase Philadelphia’s best startups during an event that includes startup pitches, cocktails, and great conversations with people from across Philadephia’s tech community. Our Tech Cocktail Mixer and Startup Showcase is a fun opportunity to hear about new startups and make important connections. But BEFORE the Philadelphia Mixer & Startup Showcase, we want you to vote for your ONE favorite startup! That’s right, we want to know which startup you think should represent the great city of Philadelphia during Tech Cocktail’s Celebrate Conference in Downtown Las Vegas on Oct 6 & 7. The local winner is chosen based on your voting, so do your research and choose wisely, below. The startup poll will close on October 1st, 5:00 PM CST, so vote now! Now for the fun part: Who is Philadelphia’s Hottest Showcasing Startup? Let us know your thoughts by voting in the poll at the end of this post. The winner will be announced online (and again live at the event) and will receive recognition in the editor’s note of the weekly newsletter, and added press recognizing the honor of being voted Philadelphia’s Hottest Showcasing Startup. 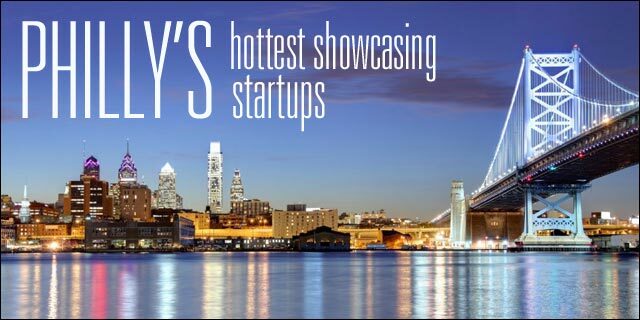 Who is Philadelphia’s Hottest Showcasing Startup? Beacon & Lively – Beacon & Lively introduces the world’s premier piece of wearable tech jewelry designed to keep you effortlessly connected, in a way that is stylish and comfortable. Ambient colors and/or slight vibrations will politely alert you when someone is calling or texting, and with a flick of wrist you can shut it off. The disruptive days of constantly checking your bag or keeping your phone on the table are finally over. Jewelry? Technology? Yes. BioBots – Doing biology today is the equivalent of programming 50 years ago – it’s inefficient, it’s slow, it’s ugly, and it’s only available to scientists at wealthy institutions. Our 3D bioprinters employ the use of a novel extrusion process that addresses the previous technical hurdles of 3D bioprinting, as well as a biomaterials cartridge system that allows untrained users to use a revolutionary technology. Just imagine if your little cousin were designing the next prosthetic arm instead of playing his fifteenth game of Call of Duty. We are building this future, today. Colabination – Colabination solves the problems faced by both shoppers and designers alike. As for designers, their time & money is spread thin attempting to promote across various networks. Currently, quality designers with powerful stories go overlooked, simply because no one can find them. eventuosity – Event planners are faced with resource cuts, shortened planning cycles, and a greater need than ever for analytics. The tools that they often use are not designed to meet those challenges. Without an effective planning tool, routine tasks drain productivity and prevent planners from working strategically. Eventuosity provides events planners with an easy-to-use tool kit for project management, collaboration, logistics tracking, and communication. The return is reduction of costs, improved attendee experience and an ability to focus on revenue-generating aspects of events. Instamour Inc. – Instamour’s mission is to provide customers with no more bad dates by allowing them to get to know prospective dates before divulging their personal information. Instamour is the only product that uses video profiles, real-time video communication, virtual phone calls, and instant messaging that allows customers to realistically determine whether any interpersonal chemistry (or the lack thereof) exists with a prospective dating partner. This eliminates wasted time, expense and the disappointment of a bad (unsuitable) dating experience. Instamour accomplishes all of this, without requiring you to give out any personal information at all. MEG.com – With the staggering proliferation of mobile devices, consumers (B2C and B2B) are now always-on. Marketers need a way to simplify and unify their mobile marketing activities across the four major channels – the mobile web, social media, native mobile apps, and real world locations – while still providing their customers with an amazing, contextual experience at the right time, on the right device. MEG is the only solution available that has connected the four mobile channels with one simple, open, and unified platform. NarrativeDx – NarrativeDx provides hospitals actionable insights from patient experiences to improve care and maximize profitability. We combine data mining and natural language processing to perform root cause analysis on patient experience data. Our platform imports and analyzes data from sources both internal and external to the hospital. This includes social media, nurse rounding, patient grievance, and government-mandated patient satisfaction surveys, for example. Smack Innovations – Smack Attack demonstrates the working functionality of the RITW prototype, but that’s only the beginning. Any app on your iPhone or Android phone can be wirelessly accessed without driver distractions. A stream of apps will be developed exclusively for RITW by both Smack Innovations & outside developers. Pico – We live in a world that a lot of people are taking pictures and share them on social networks, in many occasions you will want those pictures that taken around you. For example, the bride and the groom at a wedding, all their attendees are taking pictures during the wedding, but the couple doesn’t have any access to those pictures. Even a few friends that going on a weekend trip have interest in combining all of their pictures into one album. On the businesses side they are continuously trying to advertise and promote their page in order to be more visible on Facebook, by collecting all the pictures (Pico auto tag each photographer) that their customers took they will gain huge social exposure to their page. vimty – End of life care consumes 50% of all healthcare expenses and much of it for waste from lack of decisions made by aging Americans.